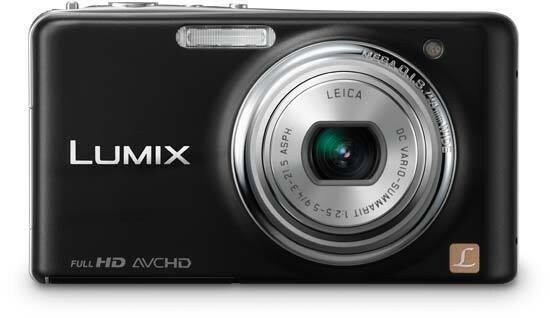 The Panasonic Lumix DMC-FX77 takes touchscreen camera technology to its extreme conclusion, with just four external controls placing the emphasis firmly on using the massive LCD screen to operate the camera. For the most part this works well, but constantly interacting with the LCD does inevitably slow things down, so it's best to try the FX77 before you buy if possible. The combination of a fast ultra-wide-angle 5x zoom lens, tried and tested FX series styling, and sensible 12 megapixel CCD sensor is a sound basis for the FX77. The fast f/2.5 lens is a cut above most of the FX77's competitors, allowing the camera to collect more light and effectively allowing you to use a slower ISO speed to achieve a similar shutter speed. Having such a wide-angle setting of 24mm is also a real attraction of this model, with the telephoto reach of 120mm long enough for candid head and shoulder shots. Image quality is slightly improved on the previous FX70 model, with a little noise at ISO 400, becoming more obvious at ISO 800 along with smearing of fine details, and the fastest speed of ISO 1600 being something of a last resort. Full HD movies with stereo sound, various creative effects and full use of the zoom are the icing on the cake. The touchscreen interface is largely well-thought out, making most sense to anyone who's used any kind of recent Apple product or Smart Phone. The system isn't overly complex for new users to literally get to grips with, with the main exception being the total reliance on caption-less icons, requiring a certain amount of guesswork on the part of the user at least until you've used the camera for a while. The jury's also still out for us on whether a touchscreen interface makes absolute sense for a digital camera, but the ability to focus on and even capture your subject with the touch of a finger is undeniably appealing and genuinely useful.